Even though the global tablet market isn't exactly thriving, people still seem to love their dirt-cheap Android-based slates. Amazon is the unrivaled champion of that particular product category, ranking among the overall top five vendors right now despite the company's reluctance to release a so-called "iPad killer" with a higher price tag and beefier specifications. 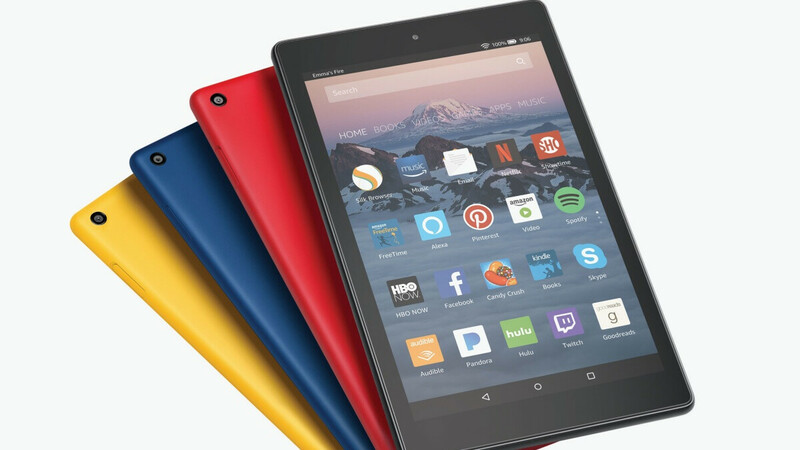 But if you're looking for a slightly larger device with a sharper screen than the entry-level $50 Fire 7 and the $80 and up "all-new" Fire HD 8 feels too rich for your blood, it might be a good idea to pay Woot a (virtual) visit by the end of today. Amazon's daughter company is offering an older version of the 8-incher at $49.99 in refurbished condition with a 90-day limited warranty included. That may not sound like an irresistible deal at first, but the thing is this Fire HD 8 (2017) and the 2018-released model are practically identical. You'll also want to keep in mind that Amazon sells the newer tablet for $79.99 in a 16GB configuration, charging an extra 30 bucks with 32 gigs of internal storage space on deck. Thus, you're essentially saving $60 with Woot's latest 24 hour-only promotion, which is certainly nothing to sneeze at. Restored to "fully working condition" by professional Amazon technicians, the Fire HD 8 units on sale today are likely to exhibit "minor cosmetic blemishes", shipping in generic brown boxes. You can get the 32GB slate in Marine Blue, Punch Red, or Canary Yellow paint jobs, while the black model is already listed as out of stock at the time of this writing. In addition to HD screen resolution (1280 x 800 pixels), the ultra-affordable tablet has a respectably powerful quad-core processor going for it, as well as 1.5 gigs of memory, up to 12 hours of "mixed-use" battery life, and yes, hands-free Alexa functionality. By no means a powerhouse, that makes this $50 Fire HD 8 an absolute bargain.